by Jessica Smith on October 10, 2014 · 0 Comments. The National Copyright Unit (NCU) is leading a course on ‘Copyright for Educators (AUS)’ in coming weeks, which may be of interest to teachers, librarians, university students studying to become teachers, and IT managers looking to gain a bit more expertise in Australian educational copyright law. What is Copyright 4 Educators (AUS)? 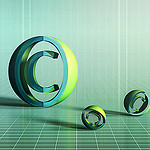 Copyright 4 Educators (AUS) is a free online course for anyone who wants to learn about Australian copyright law, statutory licensing, educational exceptions and open educational resources (OER). It is open to all educators around the world, specifically targeted to teachers, teacher-librarians from K-12, and university students studying to become teachers in Australia. The course material is learnt around practical case studies faced by teachers when using copyright material in their day-to-day teaching and educational instruction. The Copyright 4 Educators (AUS) course is not taught; it is facilitated by course leaders. The course emphasizes student participation. Students are divided into small groups in which they organise their online communications/discussions (via email, Google docs, Skype, tokbox, and other tools) and jointly submit answers to each week’s task. The course leaders review each group’s work that has been submitted to that week’s Google document and provide feedback. As stated above, the leaders act as facilitators rather than traditional teachers. The Copyright 4 Educators (AUS) course has successfully been run seven times previously. The next Copyright 4 Educators (AUS) course will run for seven weeks, with a two-week introduction period and five weeks of substantive material. Each week covering substantive material will be comprised of a different case scenario and tasks. Each group will have one week to complete each week’s tasks and two days to provide peer review to two other groups. Course participants acquaint themselves with the course and introduce themselves by answering a questionnaire. The questionnaires should be completed by Sunday November 2. Course participants are divided into groups – meet and greet with fellow group members as well as become acquired with the ICT tools needed in the course, which will allow the group members to make a decision on the collaborative tool the group will use. This decision should be made by November 9 in preparation for your first group task in week 3. Week 3 is the first week of substantive material, covering copyright basics such as subject matter categories, whether copyright applies, and copyright ownership. Group answers need to be submitted to that week’s google doc by the end of Sunday November 16, and peer review needs to be completed by the Tuesday after the assignment is due, ie November 18. Week 4 covers statutory licences and what teachers are and are not permitted to do under the statutory licences. Group answers need to be submitted to that week’s google doc by the end of Sunday November 23, and peer review needs to be completed by the Tuesday after the assignment is due, ie November 25. Week 5 covers educational exceptions and smartcopying techniques that allow teachers to use copyright material outside of the statutory licences, without the permission of the copyright owners and without paying any fees. Group answers need to be submitted to that week’s google doc by the end of Sunday November 30, and peer review needs to be completed by the Tuesday after the assignment is due, ie December 2. Week 6 covers open educational resources (OER). OER are a great alternative to copyright material as it removes copyright questions and allows teachers to do much more with the material. These resources are completely free for any individual to use, are licensed for unrestricted distribution, and allow the possibility of adaptation, translating, re-mix, and improvement. Group answers need to be submitted to that week’s google doc by the end of Sunday December 7, and peer review needs to be completed by the Tuesday after the assignment is due, ie December 9. Week 7 builds on everything that’s been covered in the course and requires groups to think about copyright law reform. Group answers need to be submitted to that week’s google doc by the end of Sunday December 14, and peer review needs to be completed by the Tuesday after the assignment is due, ie December 16. There is further information on the Copyright 4 Educators (Aus) course website where you can look at the course information, the weekly tasks and readings. There is also more information on how groups meet and communicate. Please feel free to browse and/or enroll in the other courses offered through P2PU. The courses offered in the School of Open and the School of Education may be of specific interest to educators. What do I need to do to enroll in Copyright 4 Educators? Enrollments will not be open until October 20, 2014. In the last cycle of the course, enrollments filled in three days, so if you’re interested in taking the course, we recommend you plan to enroll early. To enroll, you will need to go to the course page, and simply click ‘Start course’ at the bottom left under the menu. Note the ‘Start course’ button will not appear until October 20th. To enroll, you will need to sign in or create an account on P2PU, which is free and takes only a few minutes. Please pass along this information to anyone whom you think may be interested in learning about copyright and copyright compliance strategies.